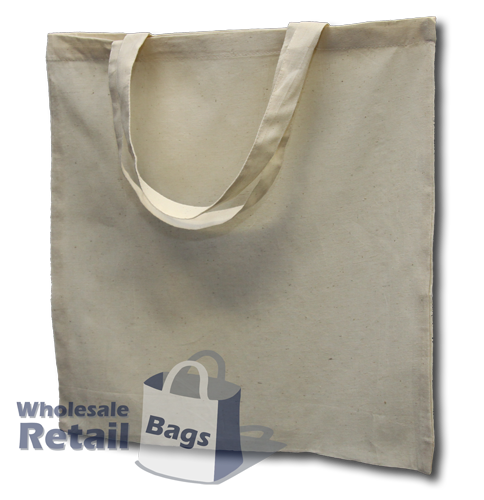 The short handle calico bag is a very popular option for distributing material at trade shows, re-usuable bag incentives, and school art projects. The handle length is designed such that it can be carried in your hand easily without touching the ground. The calico and stitching quality this bag is produced with is of a superior grade, so it's capable of carrying substantial weight. Customers interested in a calico bag of this size should also check out the long handled calico bag. The calico and bag specifications are the same, just with a longer handle.